MommaSaid | LEAN GREEN FAMILY: Keeping up with the Joneses'…Coupons? Browse: Home / 2010 / June / 04 / LEAN GREEN FAMILY: Keeping up with the Joneses'…Coupons? These days nearly everyone–the wealthy included–are looking to get more bang for their buck and have taken to couponing like never before. I recently received some statistics from a Coupons.com survey on couponing habits, including their demographics, and I thought I’d share them with you here. ■ In the past six months, more adults have redeemed coupons (61%) than have shopped at discount retail outlet stores (42%), bought used goods (37%) or purchased something from a discount Web site to save money (19%). 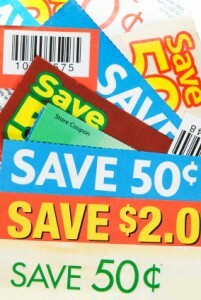 Using coupons is second only to shopping at mass discount retailers (73%). Tell us: Where do you get your coupons? Before I head out to grocery store, I check a number of sources for coupons–the Sunday paper inserts, Coupons.com, women’s magazines that have coupons in them (think All You and Woman’s Day) and manufacturer’s websites, such as P&G. Where do you get your coupons? As we’re on LEAN GREEN FAMILY: Keeping up with the Joneses’…Coupons? – MommaSaid's Linger, If you take the time to seek out coupons for items you will already spend money on then you can get the rewards of spending less while still getting all the things your family needs. You may think it is silly using a 75 cent coupon here or a $2.00 coupon there but it will really start to add up over time. When you consider the amount of money you spent on groceries, eating out, and entertainment for a whole year those coupons really start to sound good! I go through mypoints.com for my coupons. They pull theirs from smartsource and coupons.com so while I’m saving money from printing coupons and redeeming them, I’m also earning points to redeem towards gift cards to my favorite stores.